Auxiliary micro-switch for Albright contactors, fit: SW200 and SW202 series contactors, fitting instructions included. 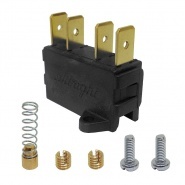 Auxiliary micro-switch for Albright contactors, fits SU280 series sized contactors, fitting instructions included. Albright International auxiliary micro switch packs. Microswitches for fitting to Albright SW80 solenoids. SW180 solenoids, SW200 solenoids, SW88 solenoids, SW182 solenoids and SW202 solenoids compatible top cap switches, fitted to the contactors to take an electrical auxiliary feed. All versions are available for Scheduled Maintenance or Production Run lead-time ordering. 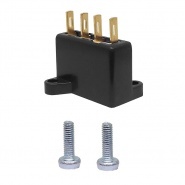 Auxiliary micro-switch for Albright contactors, fits: SW60A and SU60A series contactors as a replacement only kit. 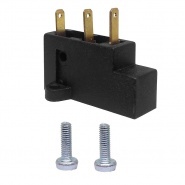 Auxiliary V4 micro-switch for Albright contactors, fits: SW60C and SU60C series contactors as a replacement only kit. Auxiliary micro-switch for Albright contactors, fits: SW80 series contactors excluding sealed type, fitting instructions included. Auxiliary micro-switch for Albright contactors, fits: SW85A series contactors excluding sealed type, fitting instructions included. Auxiliary micro-switch for Albright contactors, Fit: SW180 and SW182 series contactors, fitting instructions included. 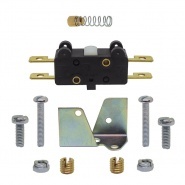 Auxiliary micro-switch for Albright contactors, fits: SW190A series contactors, fitting instructions included. Albright International auxiliary contact kit for the ED250A, ED252A and ED402A range of emergency stop switches. 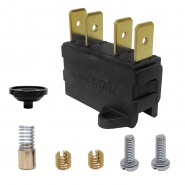 Albright International auxiliary contact kit for the ED125A range of emergency stop switches.